Victoria Sushi, tucked away in the middle of a group of apartment buildings some ways away from downtown New Westminster, is known by some to be a hidden gem. Well, hidden it sure was. I got off at Columbia Station just to miss the bus that passes by that restaurant, and since that bus comes once every half hour, I decided to try my luck out and walk there. After about half an hour in the dark streets of New Westminster filled with me treading on the wrong streets and silently cursing in my head, I finally found the overpass that I was looking for and made my way to Victoria Sushi. They seem to have continually expanded their menu since they first opened, and now their menu includes aburi oshi sushi, specialty rolls and other chef's specials not seen on the initial menu. I decided to get the Deluxe Bento, an 8-course meal that came with a miso soup, a small sunomono, 5 pieces chef's appetizer sashimi, 3 pieces chef's oshi sushi, 3 pieces chef's nigiri sushi, ebi tempura, veggie tempura, snapper tempura, and a small teppan chicken teriyaki. I really wanted some unagi too, and since I was starving, I separately ordered an Unagi Roll. 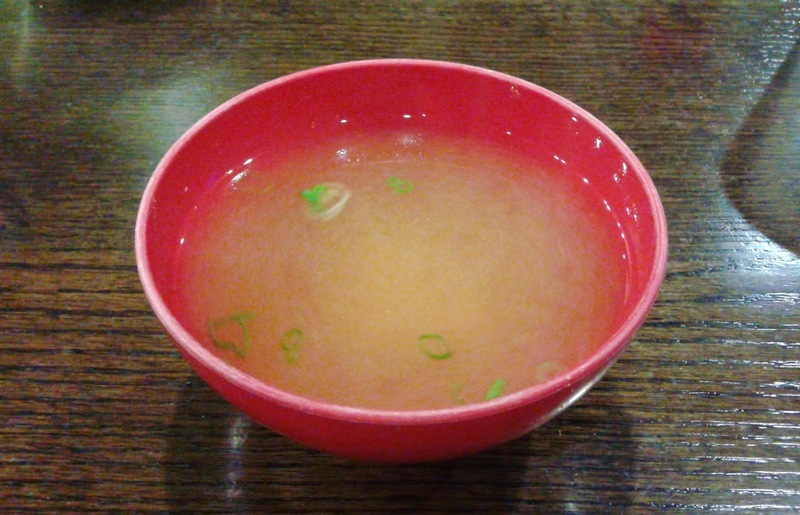 The Miso Soup was served first and came at a comfortable, hot temperature. It was garnished with some small chunks of tofu and finely chopped green onions. However, I tried to stir it up before snapping a photo and this was the least watery I could get it to look. It tasted alright, but needed quite a bit more miso paste. The Small Sunomono had some bold flavours to it and had a prevalent vinegar-y taste as well as being noticeably sweet. 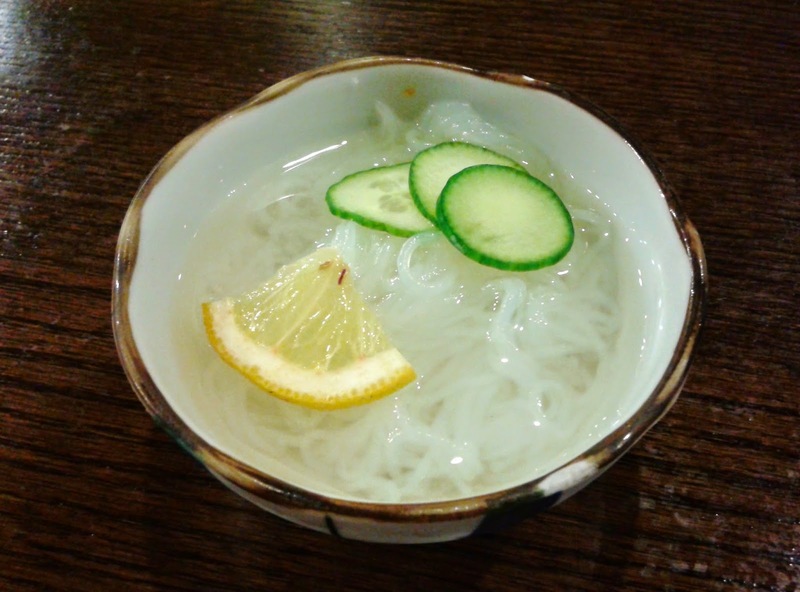 It had lots of vermicelli in it and was served chilled. I really liked the strong, but well-balanced tang that it presented. The Veggie Tempura consisted of two pieces of sweet potato tempura. The batter was crisp, flaky and not too heavy while the sweet potato was soft and had a sweet taste to it. The potato was sliced to just the right thickness and with the light soy-based dipping sauce, it was quite decent. 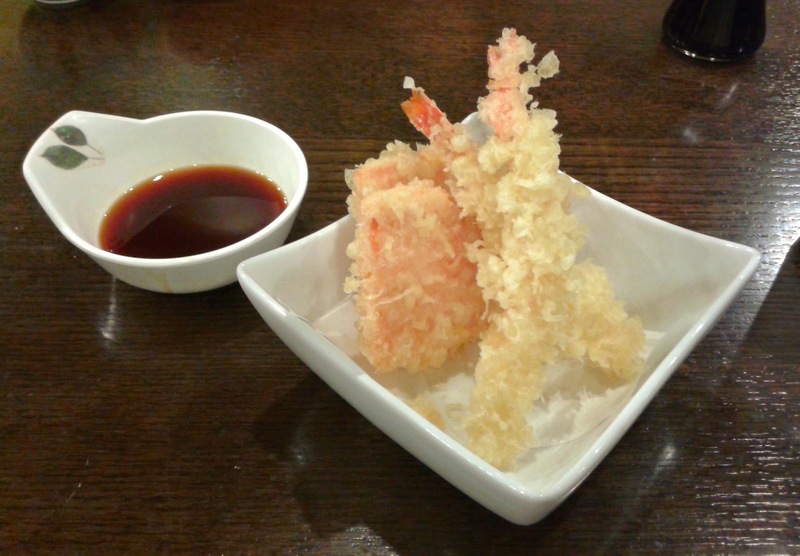 The ebi (shrimp) in the Ebi Tempura was much softer than expected and the shrimp broke apart inside the batter. The batter was a little heavier with the Ebi Tempura but not enough to obscure the taste or texture of the shrimp. Then, I noticed that my Snapper Tempura was missing. Where in the world is my beloved Snapper Tempura?! 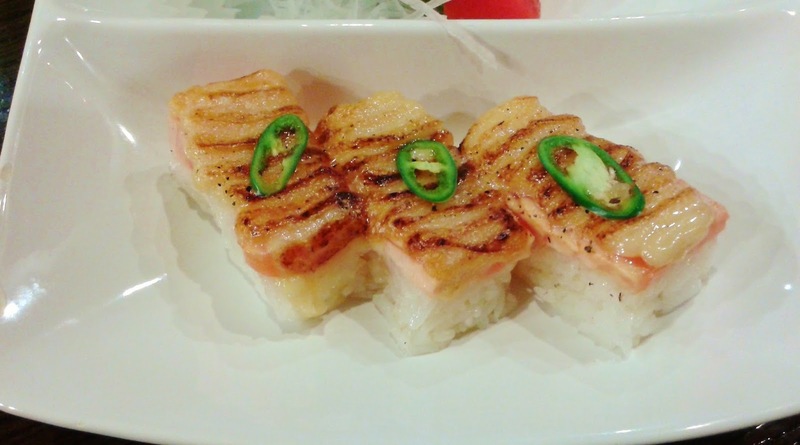 The chef's oshi sushi consisted of three pieces of Aburi Salmon Oshi Sushi. The creamy layer of sauce on top of the salmon was perfectly seared to create a truly mouth-watering grilled taste. The thin slice of pepper added a touch of spiciness which accentuated the seared flavour of the nigiri. I also liked how parts of the salmon retained its marbled texture, though the rice felt a tad creamy. Overall, this was very well executed and is the closest to high-end Miku's signature dish that I could find outside of Miku in all of greater Vancouver. At $9 for 6 pieces (it also comes with some of the bentos), this is a must-try. 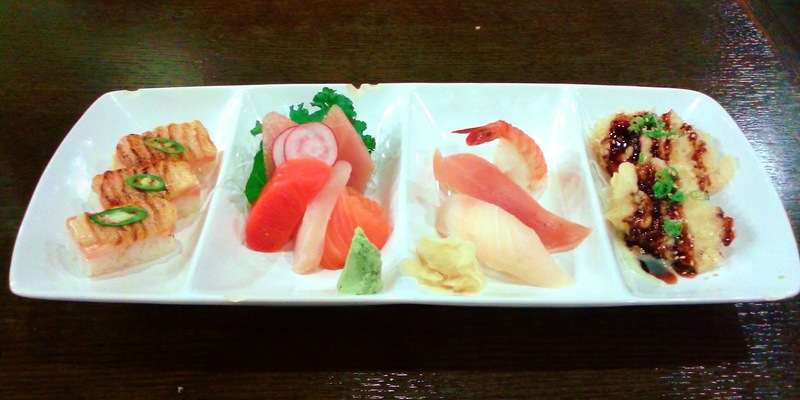 All of the sashimi tasted remarkably fresh, and this may be surprising given that Victoria Sushi is no busy restaurant. 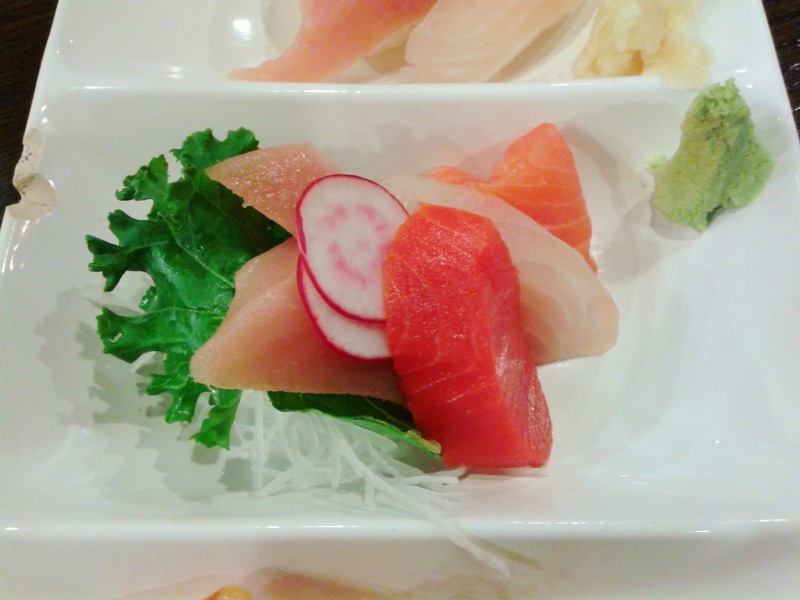 The 2 pieces of Tuna Sashimi had a very smooth texture and was soft with a well-balanced mildly salty taste. The 1 piece of Sockeye Salmon Sashimi and 1 piece of Tai Sashimi were both sufficiently soft as well and I enjoyed the subdued sweet flavour of the tai. The Salmon Sashimi appeared to have a matte finish rather than the usual glossy finish, but was otherwise decent. I'm not too sure why the Ebi Nigiri was perched on top of the Tuna Nigiri, but I guess it makes it look like the prawn is peering under the tuna (I'm totally sure this is a normal occurrence under the sea). 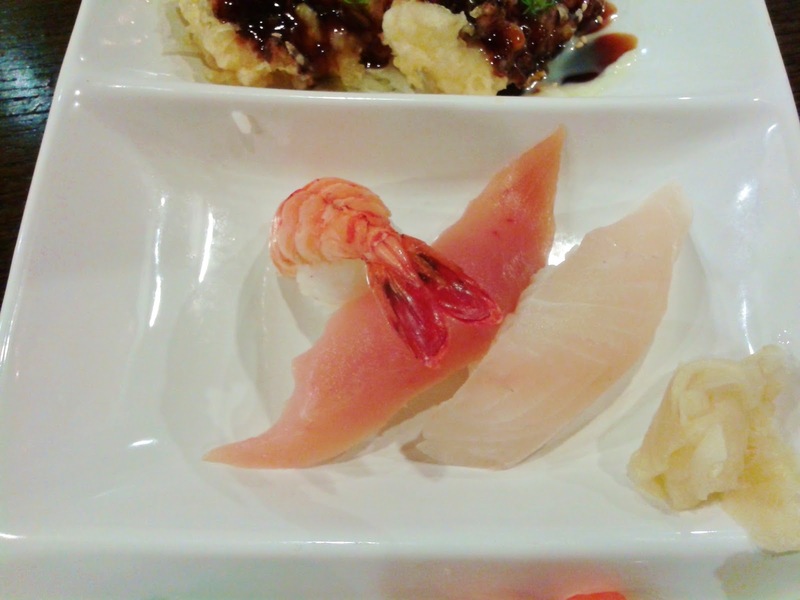 The Ebi Nigiri had a vibrant sweet flavour along with a slight hit of ginger. The Tuna Nigiri was quite generous, though the sushi rice was quite dry and needed to be softer. The Tai Nigiri had the same smooth texture as the Tai Sashimi, but somehow, the taste of the fish was cancelled out by the rice. 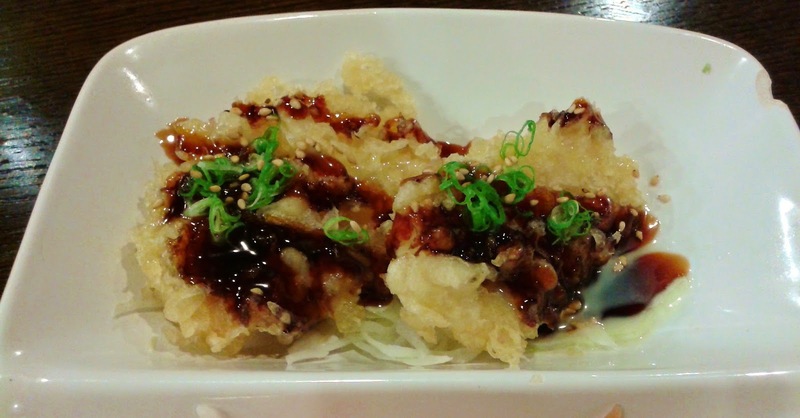 Now, I see why they had to put the Snapper Tempura sauce in a separate dish - it had a sauce to accompany it! The texture of the snapper resembled that of a well-executed piece of fish in Fish 'n Chips and the teriyaki sauce brought out the flavours of the fish very well. A few bits of green onion and sesame seeds were added for extra flavour. I would 99 times out of 100 choose this over Fish 'n Chips if given the choice. The Unagi Roll (not part of the bento) was neatly presented and looked quite promising. However, the rice was overly compacted and ended up being slightly mushy. 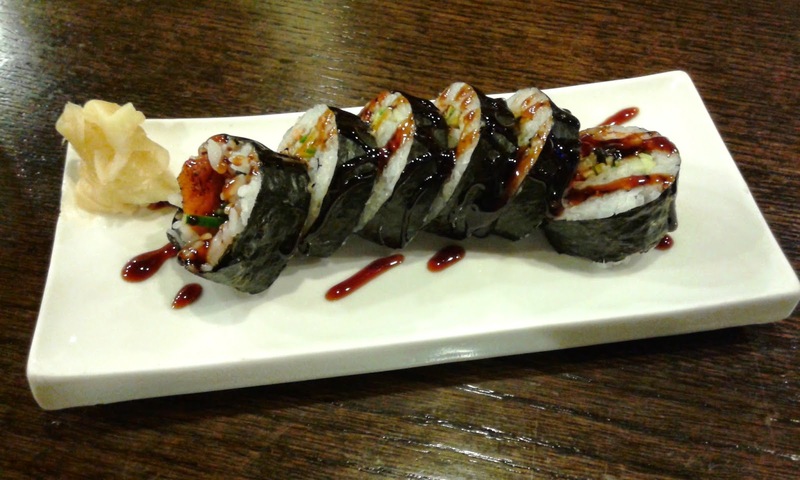 There was an adequate amount of unagi sauce accompanying the roll and that became the main highlight. The unagi could have more of a grilled flavour so that it would not be overshadowed by the other ingredients. 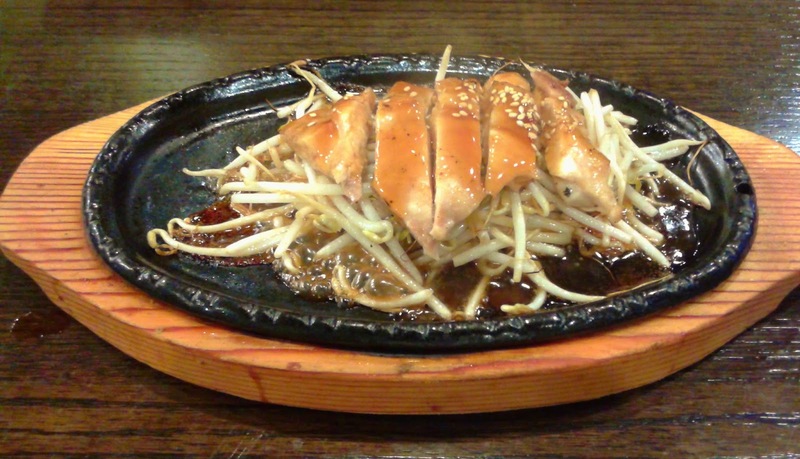 The Small Teppan Chicken Teriyaki had the skin removed from the chicken and was sizzling on an iron plate. The chicken was very tender and the teriyaki sauce was savoury and applied in the right amount so that it also went well with the bed of bean sprouts. In fact, it was hotter than I imagined, and I had a few close calls with burning my tongue while eating the bean sprouts. This was just me being clumsy and forgetful (like usual), and overall, this mini teriyaki dish was quite decent.